Friday’s talk at Sciences Po – with a large audience including members of Sciences Po’s SPEAP program and Nanterre University’s “Chantiers de l’écologie politique“ seminar, organised by Emilie Hache and Pierre Charbonnier – was related to the book Laura Ogden is currently writing, which provides “a way of rethinking (her) whole work”, according to the anthropologist. It intends to propose a specific method to no longer think about beavers as an invasive species, instead recasting their “invasion” as a diaspora: thinking in terms of belonging rather than in terms of origins. When attempting to define the two central notions of this method: “speculative” is to be understood as “a productive thought experiment” and “wonder” as “a practice mediated by our own attachments”: a mode of creating attunement to the politics of the issue at stake. 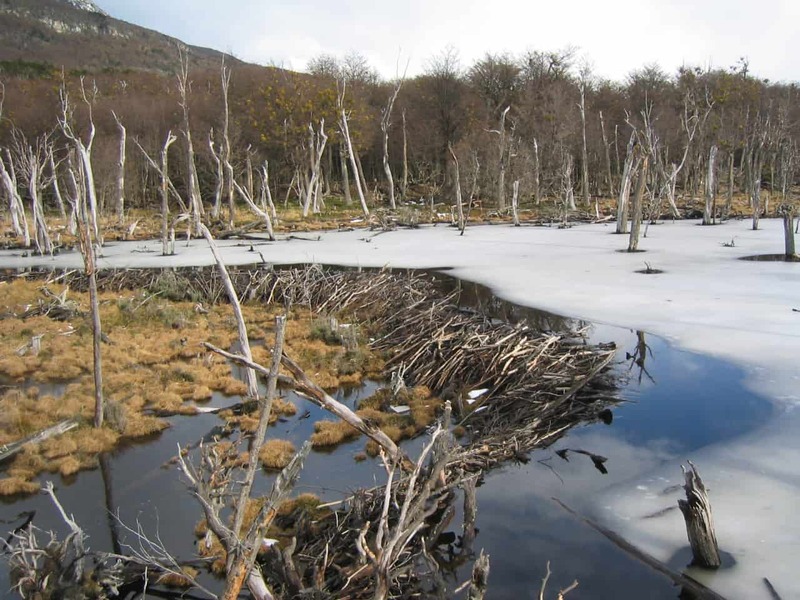 Not forgetting the long-term damages beavers inflict on the Patagonian rainforest, parts of which may already be irreparably destroyed, what logic should/ could we consider when thinking about this ‘other’ world of beavers? Acknowledging the fact that the eradication of non-native species should not be regarded as the top priority (as is it most of the time), Laura Ogden spoke about forms of anti-lobbying activism and Chilean environmental groups collaborating with others in the United States to fight against transnational companies buying up land to increase land management and develop the timber industry. Considering that Patagonia’s rural landscape and weak economy are dominated by sheep farming and the fact that these millions of “imported” sheep could equally be considered as ‘invasive’, Ogden discussed the problem of capitalistic land management and governmental interests in farming industries. Beavers thereby become enmeshed in wider discourse on animal diaspora, in which the notion of species is “just a point of view, a principle of relation, always just a part of an assemblage”.